Go to Sleep, Go to Sleep, Go to Sleep My Sweet Toddler! Many parents struggle with getting their babies to sleep through the night, but my husband and I were the lucky ones who had our little girl sleeping through the night by the time she was four months old. We developed a schedule that has been working for a good while. She would consistently have her bath around 7:00 pm, get her bed time story around 7:20 pm and be in bed no later than 7:45 pm. In the morning, she would wake up anywhere between 6:00 am to 7:00 am. A couple of months ago, Quinn actually started sleeping in until around 7:30 am, sometimes 7:45 am. However, most recently, my 20 month old’s sleep habits changed. She went from sleeping in to waking up even earlier. Lately, at bed time, she’s very alert, ready to play and is certainly not eager to go to sleep. She will fuss about it some and eventually doze off maybe 15 minutes to a half hour later. In the morning, she has been waking up around 5:00 am, sometimes earlier. 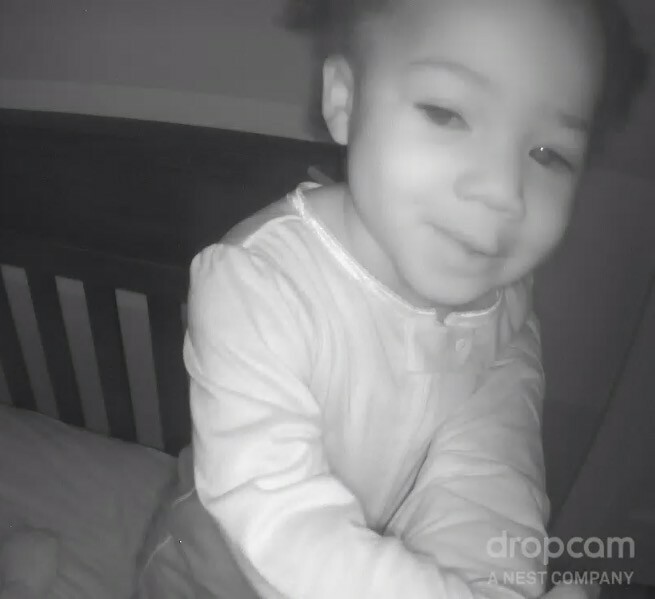 Though she is usually content and will remain calm in her crib until around 6:00 am (I watch her on our dropcam), I wonder if this change is attributed to her getting older and a reminder to me that my little girl isn’t a baby any more. Any thoughts? Suggestions for getting my little girl to sleep back to sleeping in until 7:00 am? I’ll take 6:30 am! Ready for Your Close-up Baby? There is a possibility that my 20 month old little girl has had more photos taken of her than the average person does in a lifetime. Yes, I am guilty of being one of those gushing parents who doesn’t want to miss a moment and refuses to let any chance for a photo opportunity pass them by. Actually, for the first year of Quinn’s life, she had an average of five pictures taken a day just to have a record of how quickly she was growing. 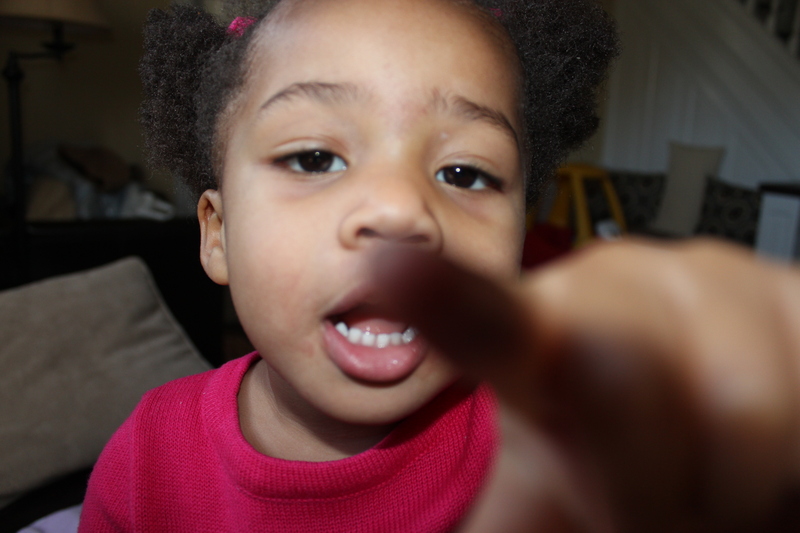 Within the past couple of months, Quinn has been taking selfies and has become intrigued by the camera. She now likes posing for pictures and will eagerly say, “Cheese!” On some occasions, she will get as close up on the camera as possible to either smile or grab the lens as if she is saying, “No more pictures please!” Is there such a thing as taking too many pictures of the precious little girl you love so much who is constantly growing? I know some people say they do not waste their time taking pictures because they are too busy enjoying the moments, but she’s growing up so quickly, and I just want to capture those moments and enjoy having photos to accompany those fleeting moments which will one day be distant memories. Let’s Hit the Gym Baby! At the start of every new year, gyms near and far can count on a serious surge of new members looking to get in shape. While some people are looking to lose weight, others just want to get moving because it helps with endurance and one’s quality of life. This rings true not just for adults but for children as well. 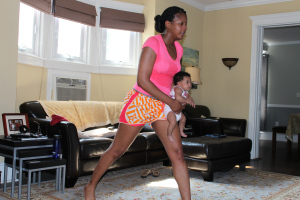 When my little girl was just two months, we started doing the “Happy Baby Workout” to not only assist me with getting back my pre-mommy figure back but for us to develop a bond. As soon as she was old enough, at around nine months, we enrolled in mommy and me classes at “The Little Gym” and have consistently enrolled in a weekly class for a little over a year now. Quinn absolutely loves it, and I love watching her walk across the balance beam, with my help of course, and attempt to do the forward rolls at home that she practiced in class along with climbing and crawling through obstacle courses. 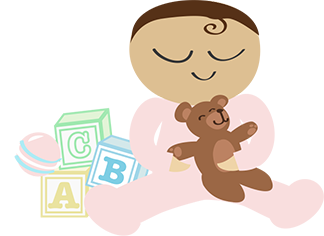 Perhaps your new year’s resolution on behalf of your young child is to get him or her moving or to have some time together to bond as parent and child. 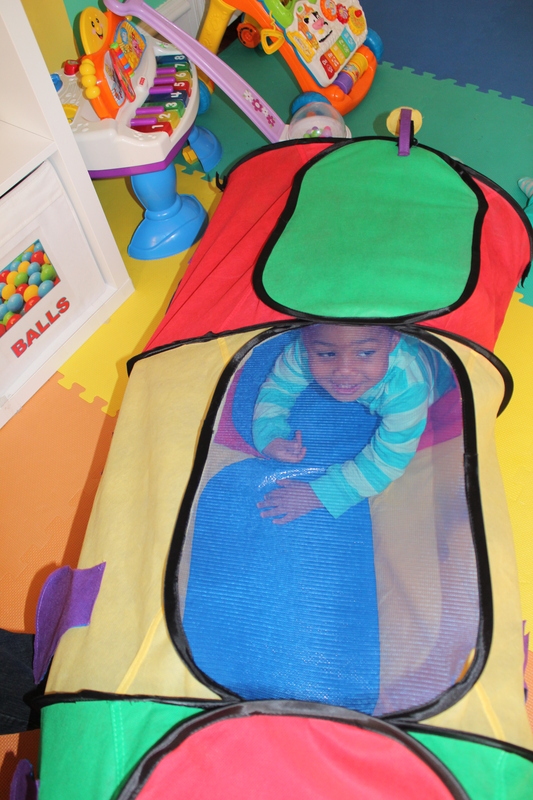 I would highly recommend this company to anyone, especially those who would like their toddlers to interact with other toddlers if they are not in day care like Quinn. On one hand, I am excited that Quinn is becoming her own person and standing her ground, but on the other hand, I want to ensure that she is receiving the proper nutrients. Fruits are no problem, but veggies are getting tricky. So I’ve been getting clever with her meals. One of her favorites (I hope it stays this way) is grilled cheese with baby spinach and tomatoes. Another is mac and cheese with added broccoli, which she will ask for by name. I have a feeling that I’m going to need to compile quite a few healthy meal selections as Quinn’s taste buds change or she refuses a meal choice. 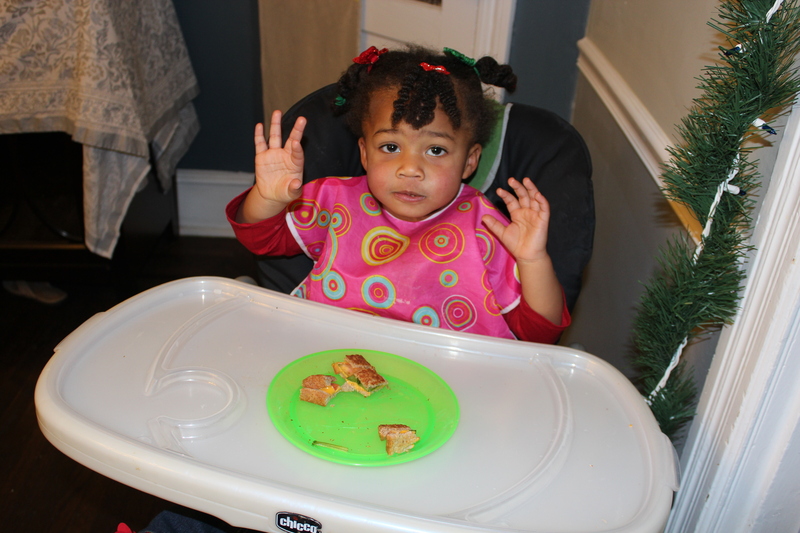 If you have any healthy options that your toddler loves, please feel free to let me know.